In order to use the Penn State Maker Commons MakerBot Innovation Center, you will need to create an account on the MakerBot Innovation Center. 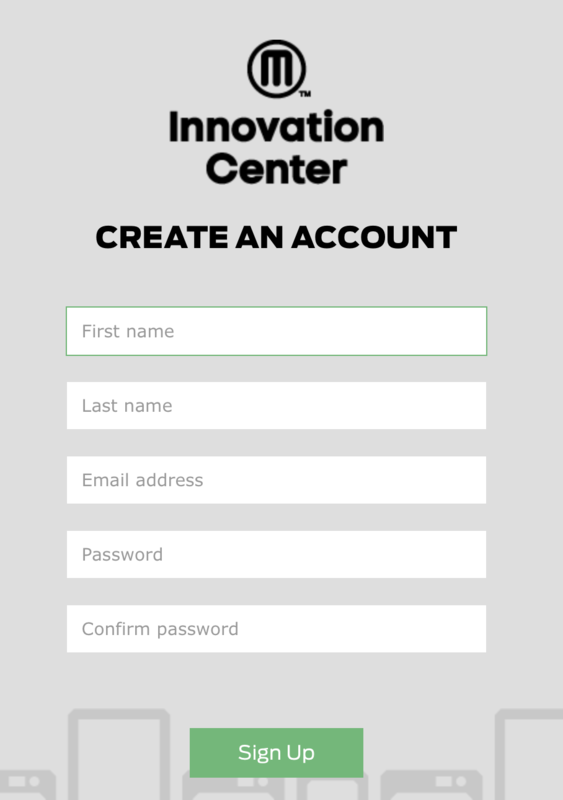 Click on the Sign Up button on the Innovation Center homepage, then fill out the requested information. You must use your Penn State access ID email address (example: xyz1234@psu.edu) for an account to be created properly. All other email addresses will be rejected. Do not use the same password used for your Penn State access ID for security purposes. A confirmation email will be sent to the email provided and must be acknowledged before your account will be active and you can submit a print. It may take up to 24 hours for the confirmation email to arrive. You should also check your spam/junk folder. If you have not received the confirmation email after 24 hours, please contact the Maker Commons at makercommons@psu.edu. This is all the spam, sort by date to easily find the MakerBot confirmation email or other MakerBot print status emails. Either create your MakerBot Innovation Center account or make another request for a confirmation email to be sent. The confirmation email may still take several hours to arrive. In some cases you may need to send yourself an email or have a friend send you an email to “force” Webmail to check for all of your pending email – including junk mail. The confirmation email will still likely arrive in your junk/spam folder. After you have received the email, you may set your Webmail to forward to your service of choice once again. We apologize for the inconvenience. MakerBot is aware of this issue and is working to resolve it on their end.